This city-wide festival presents Jacksonville with a unique opportunity of information sharing, learning, advertising, and scientific collaboration within and among different fields of STEAM (science, technology, engineering, arts and math.) As a festival sponsor, you demonstrate a shared commitment to equity and justice in STEAM education, local economic development, and science literacy. 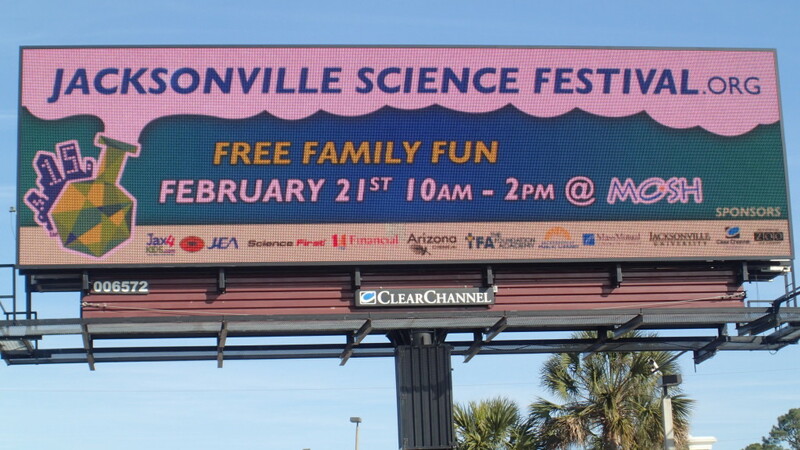 The Jacksonville Science festival also showcases the many STEAM-related learning opportunities and innovations that arise from a collaboration of K-12 student teams partnered with industry/subject experts and we’d love to connect your industry with a team and your company with an exhibit. To complete your sponsorship commitment through our secure online PayPal interface use the link below.